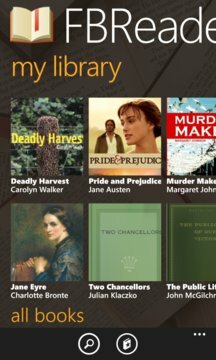 FBReader is Free eBook Reader. Supports epub, html and fb2 file formats. FBReader includes built-in local library that organises your books by author, by tag, by series, etc. You can search books, browse and edit book info. FBReader has access to popular online libraries like FeedBooks. 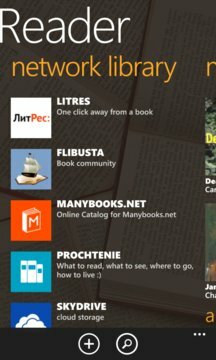 You can search/buy/download books directly from your application. Books can be shared via email or SkyDrive. FBReader is integrated with Microsoft translator, you can translate selected text.